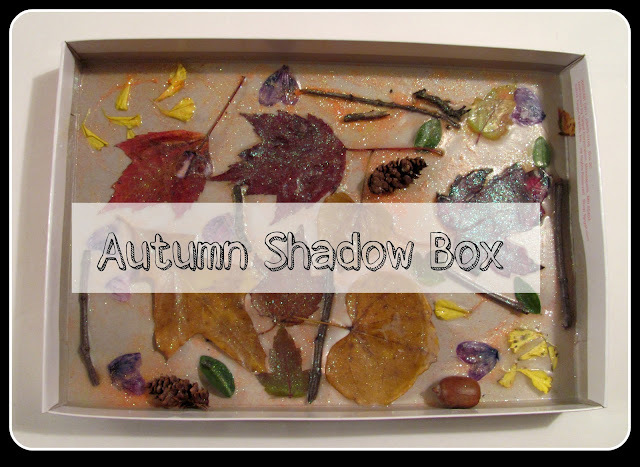 We were inspired by Teach Preschool's Post: Our Nature shadowboxes in preschool to make our Autumn Treasures Shadow Box. 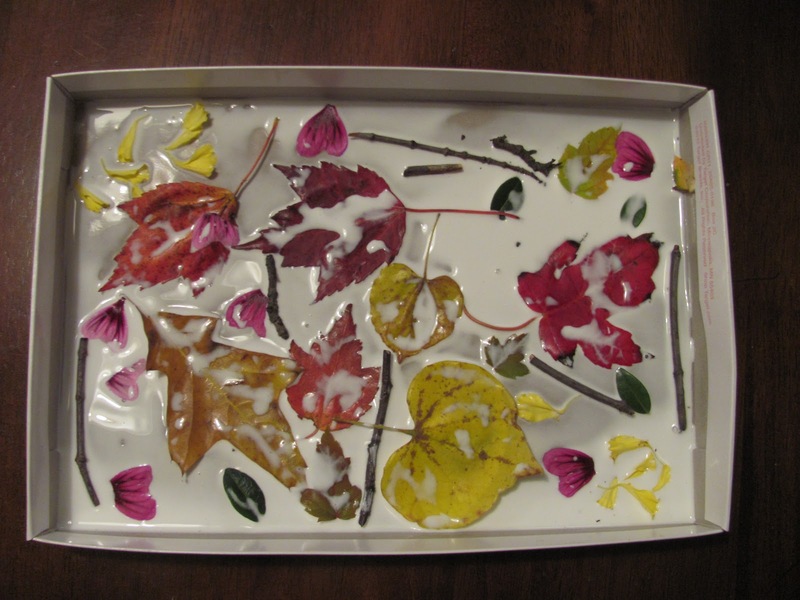 It was so easy to make and it was a neat way to collect natural items..... which all kids love. Keep reading to find out how to make one! First, put about a half inch or so of glue (or a little less) in the lid of a shoe box lid. 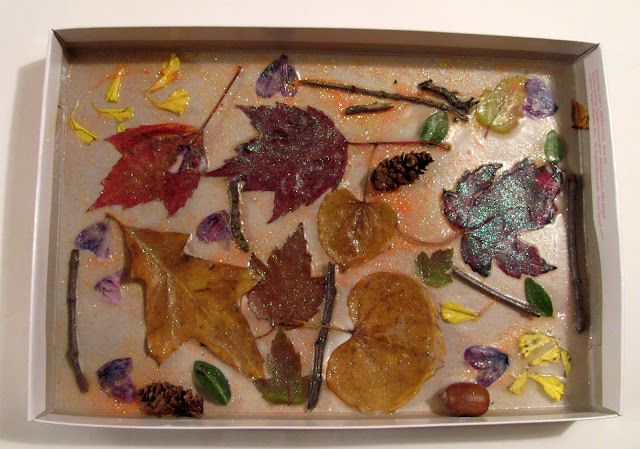 Next, place your natural items in the glue and then sprinkle with a touch of glitter. Then let dry flat for a day or two. After about two days this is the result. I think it is beautiful.... The glue seals the leaves and other natural items into the box frame and it dries clear. We added a string/yarn and it was ready to hang! Such a fun, simple and lovely project. Hope you enjoy! What a splendid Autumn decoration or for anytime. This looks really fun. You will have to let us know in a year from now if the leaves lose their color. :) I ran some leaves through a laminator about 10 years ago and they are still colorful. It is fun...we even made another one! Aren't laminators amazing? These look great. My son loves collecting nature bits at the park and playing with glue so this will be perfect for him. We will give it a go later this week. I agree. It is the perfect project for little ones who love nature (and most do)! Please share if your son makes one! this looks awesome! very beautiful and very easy project :) thanks for sharing! Thanks so much! It is so easy and fun! Your welcome. Please share if you make some. Thanks Crystal! I do too.